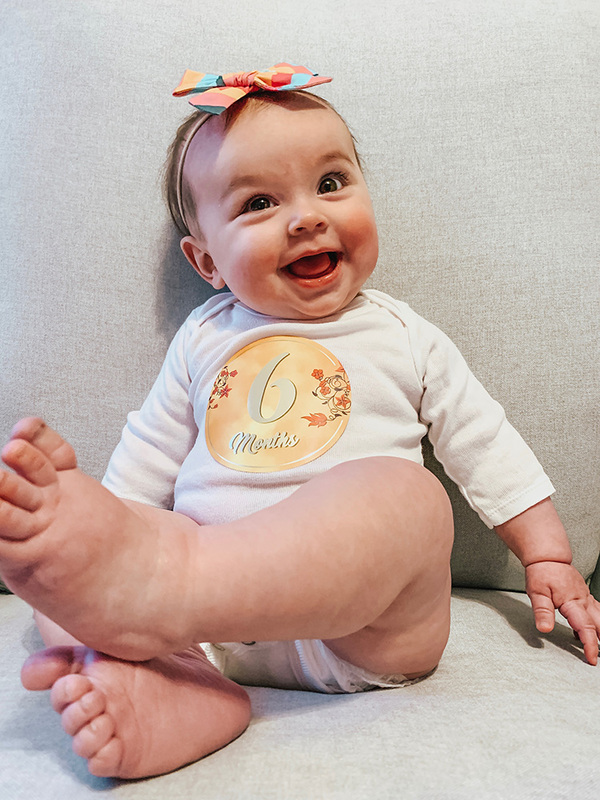 It’s April, which means our little nugget is officially SIX months old as of yesterday. 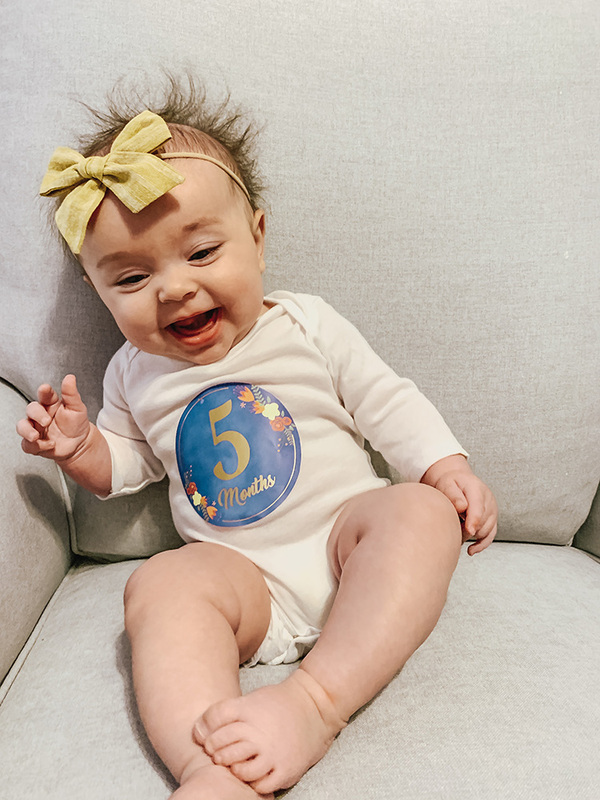 You may have noticed that I completely failed at getting our favorite things during month five on the blog, so I’m bundling these two months in today’s post. 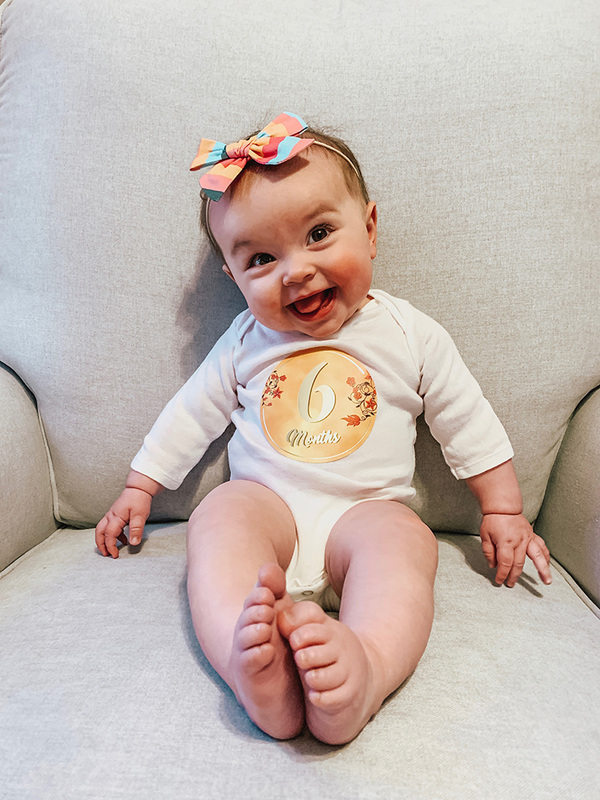 Here’s our latest round up of fav products along with some adorable monthly milestone pics of our girl. Kennedy is now strong enough to be sitting up and playing in an activity center and it’s so fun to watch her interact with all the little toys on here. I love this particular one because it’s very gender neutral and not overly obnoxious looking (which is not the case with most baby toys haha). This makes for a great baby gift! Now that the weather is getting nicer, we’ve been going on more walks around our neighborhood and I just continue to sing the praises of our Nuna stroller. I’m planning to do a full post about it soon and share all the reasons why we went with Nuna over some other more well-known, similar strollers/car seats but for now, I will just say we love this! This and the next item on my list have been two great things to have as we officially transitioned Kennedy into her crib a couple of weeks ago. This sound machine is the best! It also functions as a nightlight and the best part is that it can be completely controlled by your phone on an app. I love that I can adjust the sound (type and volume) as well as the light. I know a lot of people have very mixed feelings about these type of baby monitors and devices, so to each their own! But we decided to get this when Kennedy moved from our room to her nursery and I can say with complete confidence that it has given me SO much peace of mind. Admittedly, I’ve struggled with a lot of mommy anxiety and this little piece of technology has allowed me to relax so much at night. This was a gift to us from my parents and is the absolute sweetest way to read bible stories to your little one. Michael reads a story to Kennedy every night before bed and it’s pretty adorable. This is another special gift idea that would be perfect for a baby shower. This is what we went to from the Ollie Swaddle, which yall know we lovvedddd. 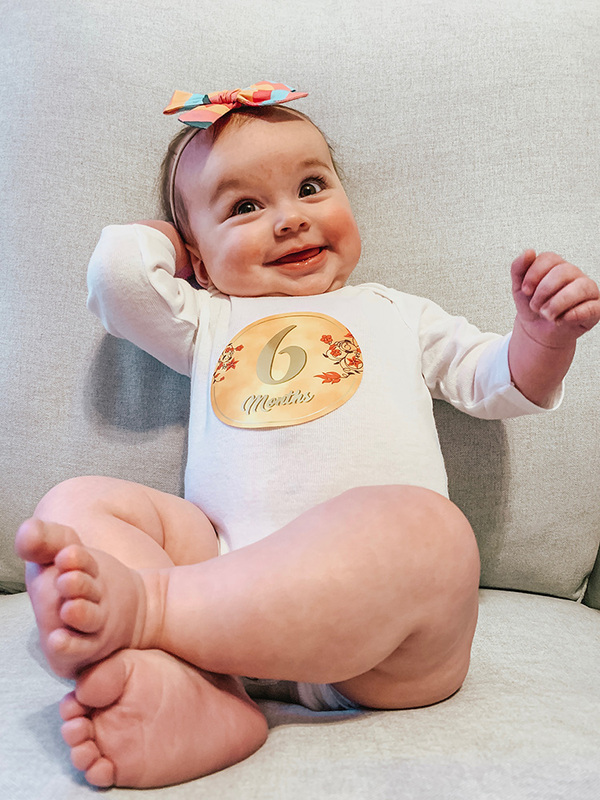 But around five months it was time to ditch that since our girl was getting to be on the move more and more. It was for sure a transition with her having her hands free, but after a couple nights, she got used to it and has been fine ever since. I really like this sleep sack because of the little weighted egg shape on the front… it’s supposed to mimic the soothing feeling of your hand being on their chest. 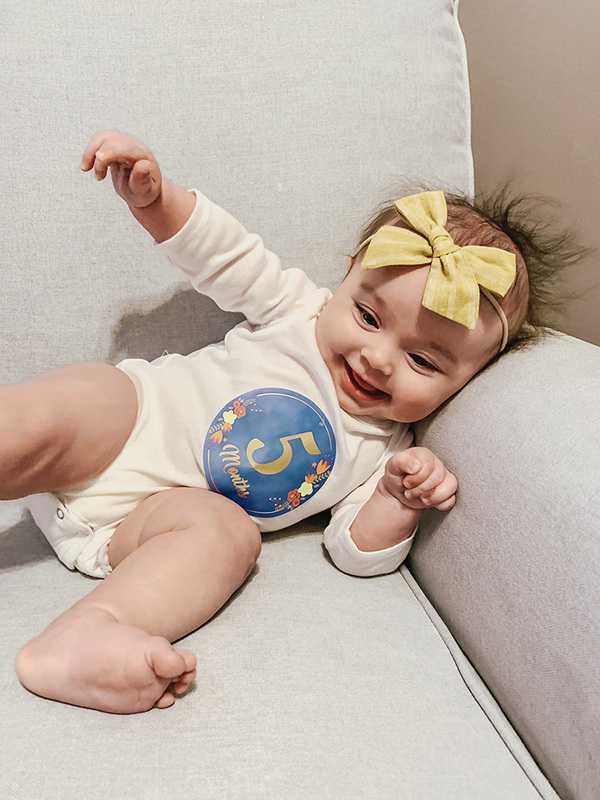 Also my complete review and guide to baby registries - everything you need to know and what items you need, could skip, should splurge on and save on.